Company operated d’mart- a Departmental Store with a super market at Green Park, New Delhi. After import Liberalization by GOI, Store was converted to specialty store to specialize in Imports, Distribution & Retailing of imported consumer goods. The name was changed to d’mart Exclusif and Luxury Lifestyle decorative categorizing Silverware, Porcelainware, Crystalware, Bronzeware & Marble Sculptures from International Design House were added. 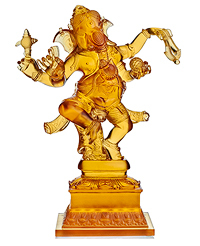 The First worldwide Limited Edition viz Lord Ganesha crafted by Linea Argenti, was launched. 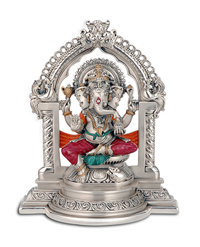 Presently, there are 53 worldwide Limited Edition Masterpieces of Indian Deities in Italian sterling silver. The company was accredited ISO 9001:2000 and certified for Quality Management Agreement System. Business expanded globally. Operations spread with 15 franchisees in India and Abroad. Launch of elitaire brand, Asia’s first of its kind concept of Luxury & life-style destination store offering Art & Decor, Furniture & Interiors. Introduction of Premium Corporate Range. Launch of Limited Edition in Fine Italian Porcelain & Hand-made crystal. The d’mart Exclusif independently touches asset evaluation of worth Rs. 200 Cr. 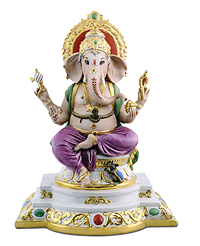 Unveiling 5 feet Royal Procession limited edition master piece departing from Indian deities. The company spread its wings by introducing IOTA – Modern Trade Business in country.